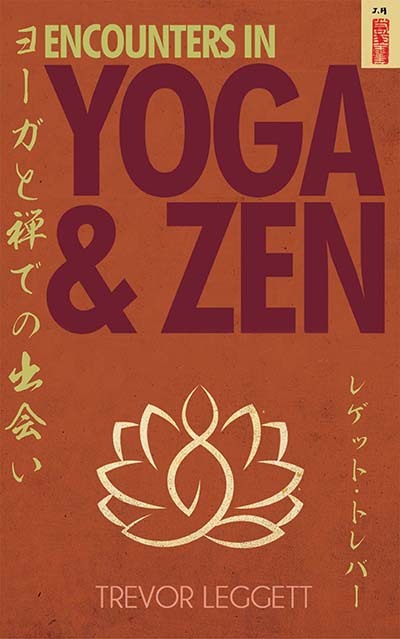 The book of 108 pages contains fifty incidents showing applications of Yoga and Zen in life. Half are from the Indian tradition and half from the Japanese. There are tales from long ago, preserved orally or in temple magazines and so on; others are modern, some of them observed or participated in by the author. The design of the book also shows signs of care and attention. The headings are in beautiful calligraphy that is very satisfying, and there are a number of pictures in the Japanese Suiboku style – suggestion rather than depiction. This principle, Leggett believes, can give hints at meditation. Stories of the type presented here are used in many spiritual schools, to a greater or lesser extent; nearly all teachers make some use of them. I have collected these over the years from a variety of sources: sometimes reminiscences of a former teacher are buried in an old book, or a temple magazine; one or two are folk stories, some are verbally transmitted, some would be difficult to trace to a source. There are one or two incidents personally experienced, and I have occasionally put a few introductory remarks. Their function is to act as flint and steel in making a light. In this, the flint is gripped in the left hand, with some dry tinder (usually a herb) under the thumb near the edge; then the steel is struck with a glancing blow across the edge of the flint. There may be no spark; then one tries again. There may be a spark which does not touch the tinder; then one tries again. But when a spark does set the tinder smouldering, as must happen sooner or later, it has to be carefully blown on – not too much and not too little – till it glows brightly. Finally a spill of thin paper can be ignited, and that in turn lights the lamp or fire. If a story here strikes no spark, or if there is a spark which dies away so that it does not recur in the mind, then another can be tried. When one does grip the mind, it should be pondered daily for several weeks, to find the deeper points. At the end of the introduction an example is given of how to focus on one such point. The process corresponds to nurturing the little glow of the tinder; it should not yet be subjected to the strong wind of outside criticism or scepticism or even constructive suggestion. It must be cherished inwardly. If all goes well and it creates a blaze, then outer winds, however strong, can only increase it.